serving clients for 60 years. Formed in 1956, we provide timely, efficient, knowledgeable and professional advice and representation. Here to support you when you need expert legal counsel. 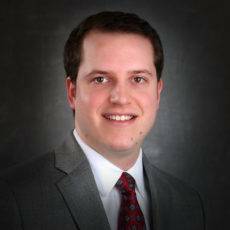 Daniel Willis is admitted to the practice of law in the State of Nebraska and in the United States District Court for the District of Nebraska. While at Creighton University School of Law, Daniel served as Executive Editor of the Creighton Law Review. Daniel also received a CALI Excellence for the Future Award in Administrative Law. 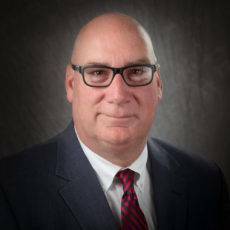 Professional Experience: Mr. Grennan has written Settlement Techniques in Multiparty Cases and Liability of Component Part Manufactures for Nebraska Continuing Legal Education, Inc. He has also written Bad Faith and Extracontractual Remedies in Nebraska on behalf of Professional Education Systems, Inc.; Insurance Coverage Contract Language 101 and Common Types of Insurance Coverage Disputes for National Business Institute. 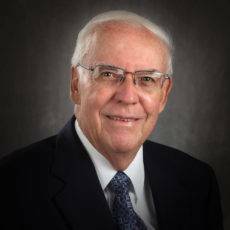 Honors and Awards: He is a fellow in the Nebraska State Bar Foundation. Mr. Grennan has received an AV rating from Martindale-Hubbell. 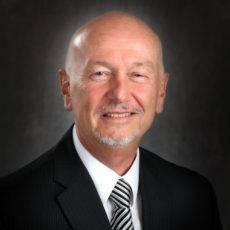 He received the President’s Professionalism Award from The Nebraska State Bar Association. No Frills Supermarkets, Inc. v. Brookside Omaha Ltd. Partnership, Court of Appeals of Nebraska, 2011 WL 2624932 (2011). Admissions: State of Nebraska United States District Court for the District of Nebraska United States Court of Appeals for the Eighth Circuit. Honors and Awards: Ron was named in the peer review publication, “Best Lawyers in America®” for Personal Injury Litigation, Defendants, 2017 Omaha Personal Injury Litigation -Defendants ‘Lawyer of the Year;”’ only a single lawyer in each practice area in each community is honored as a “Lawyer of the Year.” ABOTA Advocate. Nebraska Lion’s Eye Bank: Chairman of the Board of Directors (2015-2016). Preeminent AV Rating from Martindale-Hubbell. Professional Experience: Joined Cassem, Tierney, Adams, Gotch & Douglas in 1979. Thomas v. Board of Trustees of the Nebraska State Colleges, 2016 WL 3564252 (8th Cir. 2016). 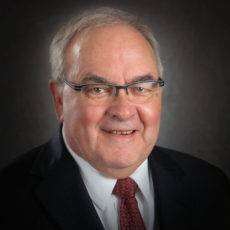 Professional Experience: Mr. Donahue has extensive experience at both the trial and appellate levels, and has also been a lecturer at seminars sponsored by the Nebraska Continuing Legal Education, Inc. in the area of workers’ compensation. He is admitted to practice before all Nebraska state courts, the United States District Court of the District of Nebraska, and the Eighth Circuit Court of Appeals. Mr. Donahue joined the firm in 1976. He has received an AV rating from Martindale-Hubbell. Professional Experience: Served as a law clerk to Chief Judge C. Arlen Beam of the United States District Court for the District of Nebraska in 1985. 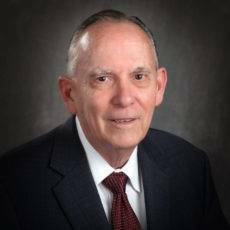 Served as a law clerk to Chief Judge Lyle E. Strom of the United States District Court for the District of Nebraska from 1985 to 1987. Joined Cassem, Tierney in 1987. Identified as ‘Super Lawyer’ by peers in 2013. Received a 5.0/5.0 peer review and an AV Preeminent rating from Martindale-Hubbell. General Counsel (Pro Bono), Boys & Girls Clubs of the Midlands, 2007 to present. Admissions: State of Nebraska United States District Court for District of Nebraska United States Court of Appeals for the Eighth Circuit. Professional Experience: Hotz, Kluver, Kizer & Jahn 1980-1981; Young & White 1981-1990; Cassem, Tierney 1990 to present. 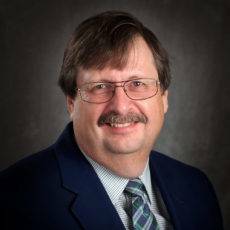 Past President of the Nebraska Lawyers Trust Account Foundation, Fellow of the Nebraska Bar Foundation, and Preeminent AV Rating from Martindale Hubbel. Kohl v. Hawkins Const. Co., 1995 WL 54575, (Neb. Ct. App. Jan. 31, 1995). Marus v. Universal Terrazzo & Tile Co., 1995 WL 33319 (Neb. Ct. App. Jan. 24, 1995). Kerkman v. Weidner Williams Roofing Co., Inc., 250 Neb. 70, 547 N.W.2d 152 (1996). Thomsen v. Greve, 4 Neb.App. 742, 550 N.W.2d 49 (1996). Thompson v. Kiewit Const. Co., 258 Neb. 323, 603 N.W.2d 368 (1999). Bailey v. Lund-Ross Constructors Co., 265 Neb. 539, 657 N.W.2d 916 (2003). Greenhall Investments, L.L.C. v. Wiese Development Corp., 14 Neb.App. 155, 706 N.W.2d 552 (2005). Japp v. Papio-Missouri River Natural Resources Dist., 271 Neb. 968, 716 N.W.2d 707 (2006). Zion Lutheran Church of Benson Station v. Mehner, 2009 WL 39311. Kuhn v. Wells Fargo Bank of Nebraska, N.A., 2009 WL 97167 (Neb. Ct. App. Jan. 6, 2009). Kuhn v. Wells Fargo Bank of Nebraska, N.A., 278 Neb. 428, 771 N.W.2d 103 (2009). 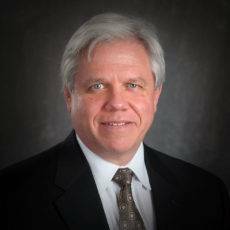 Professional Experience: Michael F. Kinney started with Cassem Tierney in 1971. After 43 years of litigating a wide variety of lawsuits Mike decided to concentrate solely on his mediation practice. Recipient of Nebraska Lawyer Foundation’s Visionary Award (2015) for establishment of SOLACE program. 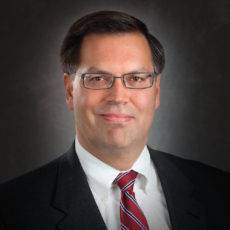 Voted by peers one of Nebraska’s Top Ten Super Lawyers (2012); included in Super Lawyers annually (2007-present). Michael has been listed in the peer review publication “Best Lawyers in America®” in several practice areas in the past few years including: Arbitration, Bet-the Company Litigation, Commercial Litigation, Mediation, Medical Malpractice Law – Defendants, Personal Injury Litigation – Defendants, Personal Injury Litigation – Plaintiff, Product Liability Litigation – Defendant and Product Liability Litigation – Plaintiffs. In addition, through the years Mr. Kinney has been named in “Best’s Lawyer in America®” as the “Lawyer of the Year;” only a single lawyer in each practice area in each community receives this honor. 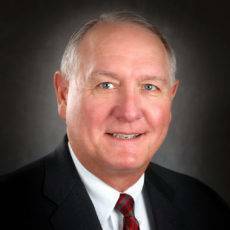 Mr. Kinney has been so honored as 2013 Omaha Mediation “Lawyer of the Year,” 2012, 2014 and 2019 Omaha Arbitration “Lawyer of the Year,” 2016 Omaha Bet-the –Company Litigation “Lawyer of the Year” and the 2017 Omaha Medical Malpractice Law – Defendant’s “Lawyer of the Year.” Selected for inclusion in the 2019 publication in nine practice areas: Arbitration, Bet-The-Company litigation, Commercial litigation, Mediation, Medical Malpractice (Defendants), Personal Injury (Defendants), Personal Injury (Plaintiffs), Product Liability (Defendants), Product Liability (Plaintiffs). Civic Positions/Activities: Papillion / LaVista School Board (1979-85), Nebraska Accountability & Disclosure Commission (1986-97), Council on Governmental Ethics Laws (1989-95), Fontanelle Forest Association Board of Directors (1993-95), Court Appointed Special Advocate (CASA) (2000-13), Nebraska Eye Bank Board of Directors (2003-09), Bellevue Housing Authority (2005-13), Nebraska Board of Mental Health Practice (2004-14), Bellevue School Board (2013-2016), Lift Up Sarpy County (2013-present). Mediation experience includes over 575 completed mediations in a wide variety of civil litigation matters. Mr. Kinney has also served as a Special Master, Umpire and Medical Review Hearing Officer. 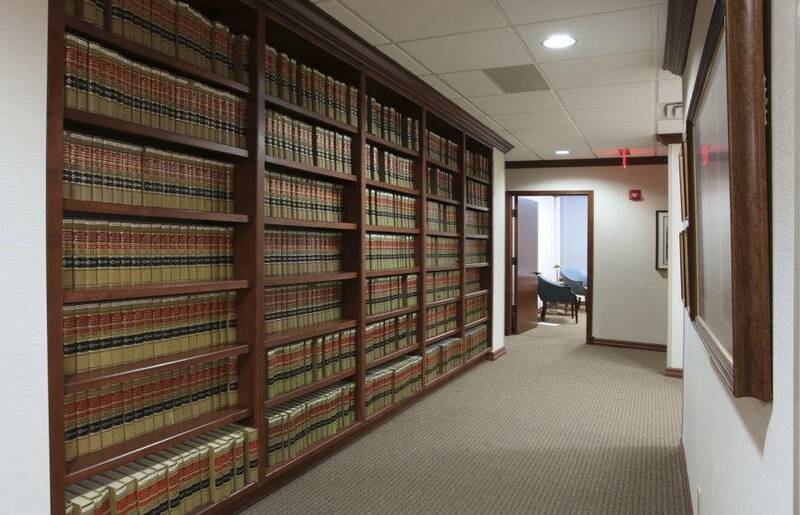 Professional Experience: Ms. Cheatle specializes in the area of medical malpractice defense. She was drawn to this legal specialty from an early age, having grown up in a family of doctors and nurses. She saw first-hand the uniquely high moral character of medical professionals, and their steadfast readiness to help their patients 24/7, rain or shine. She knew their passion for their profession, and after working on her first medical malpractice defense case as a young lawyer, knew her passion was going to be zealously advocating for these individuals and institutions. 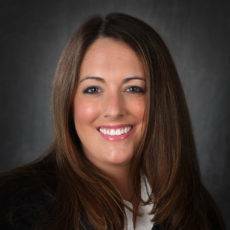 Ms. Cheatle enjoys representing medical professionals and organizations in a variety of legal realms. Her primary focus is defense of legal claims brought against medical professionals by individuals or institutions up to and including appeals at both the state and federal level. She also aides in the development of risk management strategies, resolution of contract disputes, assistance with national and state medical reporting requirements, and design of institutional policies and procedures. Ms. Cheatle also travels locally and nationally to lecture to medical professionals about recommended practices for the prevention and defense of legal claims. Ms. Cheatle graduated from the University of Nebraska College of Law in 2009, where she successfully completed The Litigation Skills Program of Concentrated Study. The College of Law’s Litigation concentration program is designed for law students to develop the skills, values and doctrines necessary to be effective and competent trial attorneys. The students that participate in the concentrated study program can choose to complete either the civil or criminal sectors of the program. Ms. Cheatle completed the concentrated training in both sectors of civil and criminal litigation. In both 2008 and 2009, Ms. Cheatle was selected as one of six members school-wide to compete on the University of Nebraska College of Law’s National Trial Team. Ms. Cheatle received the Fall 2008 CALI Excellence For The Future Award in Commercial Law: Sales. In 2009, she was selected as a national member of The Order of Barristers for having exhibited excellence and attained high honor through the art of courtroom advocacy. Mr. Douglas was admitted to the Nebraska State Bar in 1961. He is listed in the publication Best Lawyers of America. He has also received an AV rating from Martindale-Hubbell. 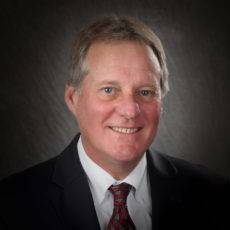 Professional Experience: John McWilliams is admitted to the practice of law in the State of Nebraska and in the United States District Court for the District of Nebraska. While at Creighton University School of Law, John served as Research Editor of the Creighton Law Review, and his Note on products liability was published in December of 2013. John also received six CALI Excellence for the Future Awards while at Creighton University School of Law, in Constitutional Law I, Civil Procedure II, Legal Research and Writing II, Trusts and Estates I, Federal Income Taxation, and Taxation of Business Enterprises. Prior to attending law school, John obtained a Master of Arts degree in English from the University of Nebraska at Omaha and taught courses in English Composition and English as a Second Language. 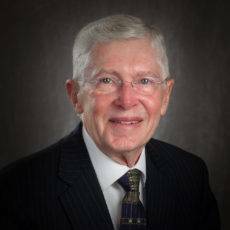 Served as a law clerk to the Honorable William C. Hastings, Justice of the Nebraska Supreme Court, from 1981 to 1982. Joined Cassem Tierney in 1982. Member and served as President of the Workers’ Compensation Section of the Nebraska Bar Association in 2013. Selected by peers for inclusion in Best Lawyers in America publication – Workers’ Compensation Law. He has received an AV Preeminent rating from Martindale-Hubbell. Reeder v. Reeder, 217 Neb. 120, 348 N.W.2d 832 (Neb., 1984). Brouilette v. DBV Enterprises, Inc., 9 Neb. App. 757, 619 N.W.2d 482 (Neb. App., 2000). Morin v. Industrial Manpower, 13 Neb.App. 1, 687 N.W.2d 704 (Neb. App., 2004). Murphy v. City of Grand Island, 274 Neb. 670, 742 N.W.2d 506 (Neb., 2007). Nippert v. Shinn Farm Const. Co., 223 Neb. 236, 388 N.W.2d 820 (Neb., 1986). Sidel v. Spencer Foods, 215 Neb. 325, 338 N.W.2d 616 (Neb., 1983). Haakinson & Beaty Co. v. Inland Ins. Co., 216 Neb. 426, 344 N.W.2d 454(Neb., 1984). Gray v. Fuel Economy Contracting Co., 236 Neb. 937, 464 N.W.2d 366 (Neb., 1991). Doty v. Aetna Life & Cas., 217 Neb. 428, 350 N.W.2d 7 (Neb., 1984). Maxey v. Fremont Dept. of Utilities, 220 Neb. 627, 371 N.W.2d 294 (Neb., 1985). Kaufman v. Control Data, 237 Neb. 224, 465 N.W.2d 727 (Neb., 1991). Kalhorn v. City of Bellevue, 227 Neb. 880, 420 N.W.2d 713 (Neb., 1988). McDaniel v. W. Sugar Coop., 23 Neb. App. 35 (Neb. App., 2015). Tchikobava v. Albatross Express, LLC, 293 Neb. 223 (Neb., 2016). Hayden v. Ameristar Casino Council Bluffs, 641 N.W.2d 723 (Iowa, 2002). Served as a law clerk to the Honorable Norman Krivosha, Chief Justice of the Nebraska Supreme Court, from 1983 to 1984. Joined Cassem Tierney in 1984. Washington County Bank v. Red Socks Stables, Inc., 221 Neb. 300, 376 N.W.2d 782 (1985). Barry v. Bohi, 221 Neb. 651, 380 N.W.2d 249 (1986). Chadd v. Midwest Franchise Corp., 226 Neb. 502, 412 N.W.2d 453 (1987). Uryasz v. Archbishop Bergan Mercy Hospital, 230 Neb. 323, 431 N.W.2d 617 (1988). In re Estate of McFayden, 235 Neb. 214, 454 N.W.2d 676 (1990). Hansl v. Creighton University, 243 Neb. 21, 497 N.W.2d 63 (1993). Gerken v. Hawkins Const. Co., 243 Neb. 157, 498 N.W.2d 97 (1993). Global Credit Services, Inc. v. AMISUB (Saint Joseph Hosp. ), Inc., 244 Neb. 681, 508 N.W.2d 836 (1993). Hanigan v. Trumble, 252 Neb. 376 562 N.W.2d 526 (1997). First Nat. Bank of Omaha v. Three Dimension Systems Products, Inc., 289 F.3d 542 (8th Cir. 2002). First Nat. Bank of Omaha v. Acceptance Ins. Companies, Inc., 675 N.W.2d 689 (Ne Ct. App. 2004). State ex rel. Special Counsel for Discipline, Nebraska Supreme Court v. Fellman, 267 Neb. 838, 678 N.W.2d 491 (2004). Ferer v. Erickson & Sederstrom, P.C., 272 Neb. 470, 759 N.W.2d 75 (2006). Royal Ins. Co. of America v. Duhamel Broadcasting Enterprises, Inc., 170 Fed.Appx. 438, 2006 WL 616277 (8th Cir. 2006). Classe v. Fitzgerald, Schorr, Barmettler & Brennan, P.C., 2007 WL 1898536 (Ne. Ct. App. 2007). State ex rel. Counsel for Discipline of Nebraska Supreme Court v. Hubbard, 276 Neb. 741, 757 N.W.2d 375 (2008). Auto Services Co., Inc. v. KPMG, LLP, 537 F.3d 853 (8th Cir. 2008). Pennfield Oil Co. v. Winstrom, 276 Neb. 123, 752 N.W.2d 588 (2008). Phoenix Properties, LLC v. Biggs, 2009 WL 416267 (Ne. Ct. App. 2009). Gillham v. Kennedy Dental Associates, 2009 WL 3161617 (Ne. Ct. App. 2009). D & S Realty, Inc. v. Markel Ins. Co., 280 Neb. 567, 789 N.W.2d 1 (2010) (first appeal). D & S Realty, Inc. v. Markel Ins. Co., 284 Neb. 1, 816 N.W.2d 1 (2012) (second appeal). Green v. Box Butte General Hosp., 284 Neb. 243 818 N.W.2d 589 (2012). Board of Trustees of City of Omaha Police and Fire Retirement System v. City of Omaha, 289 Neb. 993 858 N.W.2d 186 (2015). Mr. Gotch has received an AV rating from Martindale-Hubbell, and since 1983 he has been listed in the Best Lawyers in America. We have experts in a variety of areas to ensure you are well represented. After an issue or case is resolved by a trial or hearing, one party may seek review by an appellate tribunal, such as a state’s Supreme Court or a United States Court of Appeals. The function of an appellate court is to determine if reversible error has been committed by the lower tribunal. The review involves interpretation and application of law. The focus of appellate practice is on the presentation of legal arguments through written and oral advocacy.